The Internet is the future of selling! You’ve probably heard of eBay—the world’s largest online auction and selling site—and know you can find almost anything you’re looking to buy on it. But what about selling there? eBay is active in more than one hundred and fifty countries worldwide, with over a hundred million active registered users—your potential buyers. On eBay, you receive maximum national and international online exposure. Anyone can list items for sale on eBay, but not everyone has the skills and expertise—or the time and energy—to create attractive, professional listings that will attract the highest possible prices. Why Sell With Auction it TODAY? 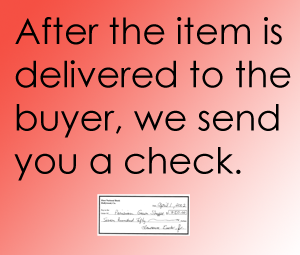 We’re your preferred eBay drop-off store and consignment service. We do it all for you—making it easy for you to realize the Internet’s potential as a sales tool! 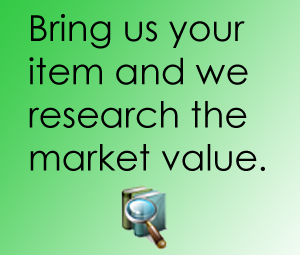 With Auction it TODAY and eBay, you receive maximum exposure for a reasonable cost. We handle the entire selling process. 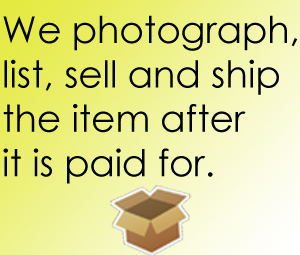 We do extensive research, photograph items, create effective listings, monitor auctions, process payments, and package and ship your items. We have the expertise to get the maximum value out of your items—and you don’t have to do any of the work. Auction it TODAY has the reputation and experience necessary to get your items noticed by millions of potential buyers worldwide. We take pride in our attention to detail and excellent customer service. What Does Auction it Today Do For You? Thank you very much for all your work! I was impressed with the way this transaction was handled right from the start—you inspired confidence in the process. I have recommended your company to friends and family. And personally, if another opportunity comes up, I’ll be back! Thank you so much for all your help in selling the Saab. You have a way of making your clients feel extra special. You exceeded all of my expectations with your follow through, photography presentation, and professionalism. I will recommend Auction it TODAY to all of my family and friends. Excellent service. Auction it TODAY took the hassle out of selling my items on eBay and handled the entire process very professionally from start to finish. Saved me a lot of time. I will definitely work with these guys again. A+ service all around! Thanks again for all of your hard work.